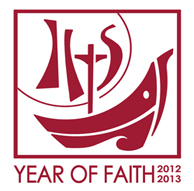 In celebration of the Year of Faith, which began in October and continues through November 2013, visitors to two Redemptorist Shrines in the United States may receive a plenary indulgence upon their visit. Philadelphia Archbishop Charles Chaput designated the Shrine of St. John Neumann as a Year of Faith pilgrimage site, and New Orleans Archbishop Gregory Aymond has extended the same honor to the National Shrine of Blessed Francis X. Seelos. To obtain a plenary indulgence for a visit to one of these shrines, the faithful are asked to pray an Our Father, Hail Mary and the Apostles’ Creed for the intentions of the pope, and to receive Holy Communion and the Sacrament of Penance within a week before or after their visit. The Shrine of St. John Neumann is located at St. Peter the Apostle Church, 1019 N. Fifth Street, Philadelphia, PA. The National Shrine of Blessed Francis X. Seelos is located at St. Mary’s Assumption Church, 919 Josephine St., New Orleans, LA.